For most people, a house is the single most important investment they’ll make; but upkeep for the painted exterior of a house in Connecticut can be extremely costly over the years. 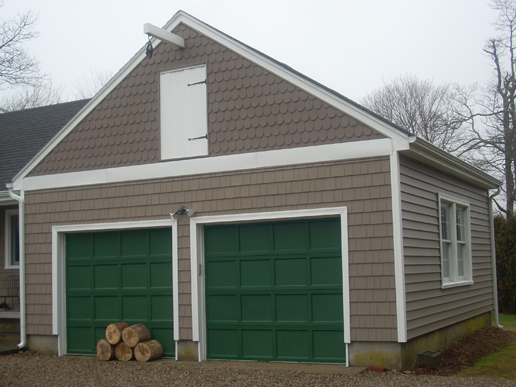 Consider an excellent, economical alternative. 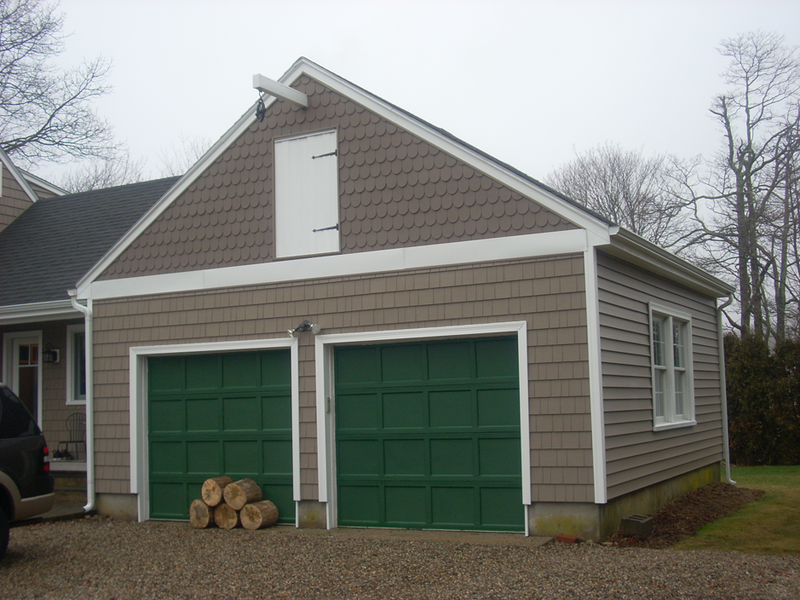 Modern vinyl siding, available in a large variety of colors, amazingly realistic wood textures, and architectural detail can make the outside of your home look extraordinary, earning everyone’s admiration. What a happy feeling to have, every time you come home! 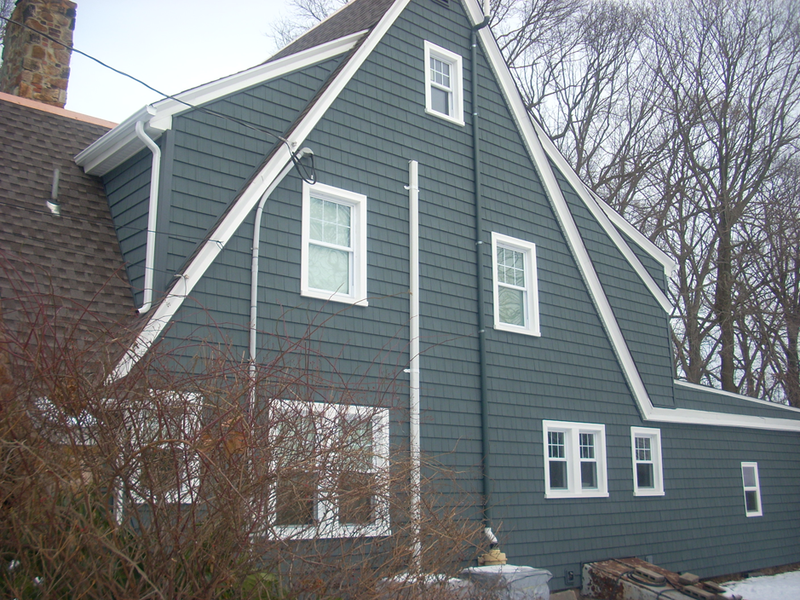 One of most popular siding styles in New England is shakes−or shingles−which look like individual pieces of wood attached side by side in rows. 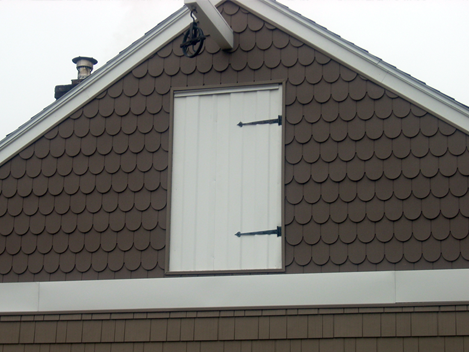 Clapboards (pronounced “clabbords”) look like lengths of wood placed horizontally. 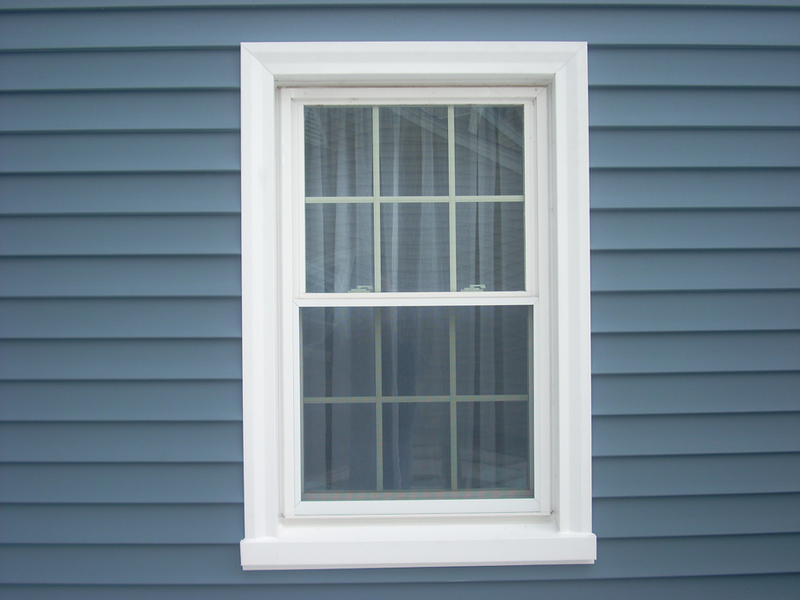 Both shakes and clapboards are available in several widths, lengths and wood texture effects, but basically, each row overlaps the one below it, to guide dripping water away from the wall. We install highest quality shakes and clapboards in a wide array of matching and complementary rich colors, from deep hues to light-reflecting pale shades. 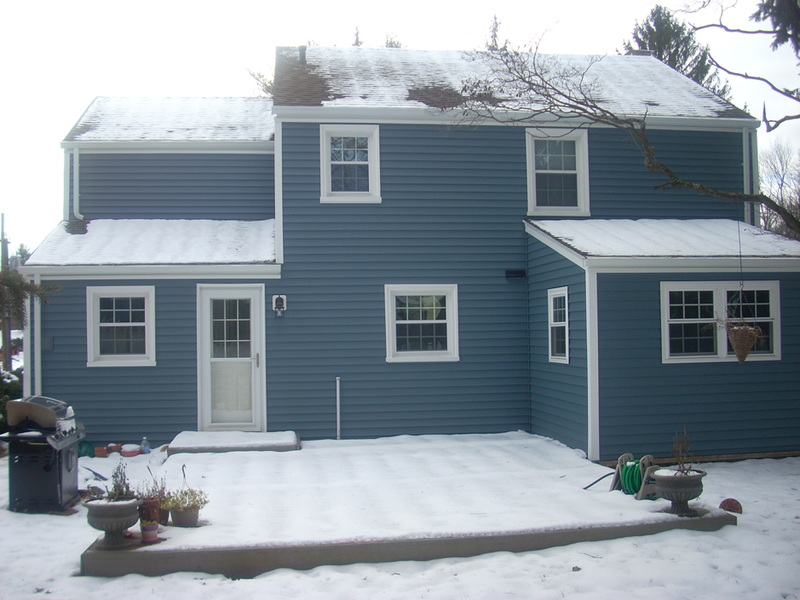 You’ll be pleased at the wide choice you have; and we’re ready to share our expertise to help you make siding decisions that are right for you and your house. 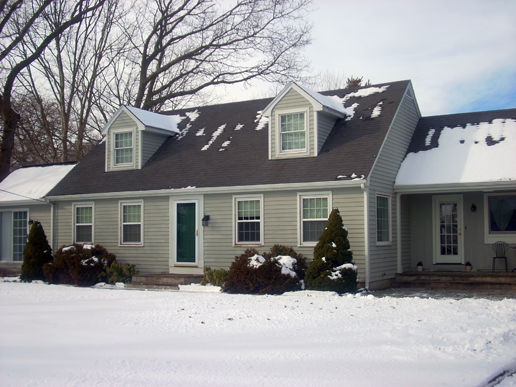 Today’s vinyl siding is fire retardant, easy maintenance, and has outstanding insulating properties that could save you 20% on your energy bills. Deep, intense colors are protected with a Lucite acrylic shield, and the panels are double strength for superior wind resistance. 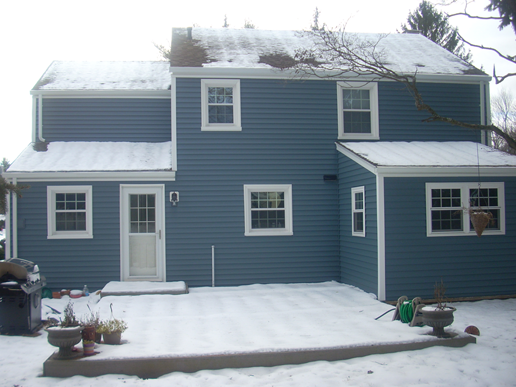 Can you imagine your house‒contemporary or classic finish‒looking refreshed and beautiful in new siding? 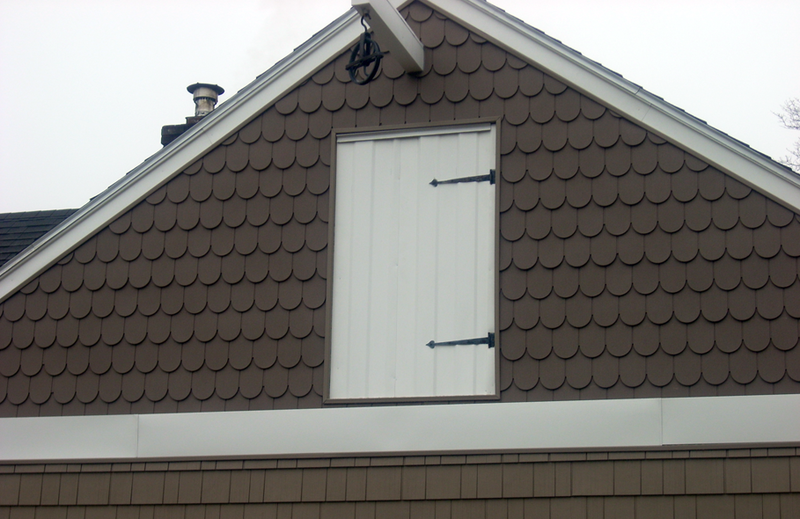 We’ll be happy to provide an estimate and help in choosing the right siding for your home. 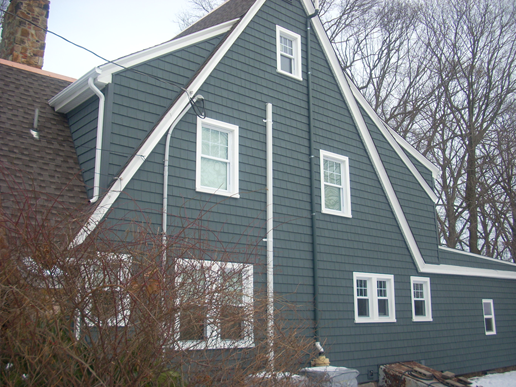 This home in the shoreline town of Niantic, CT comes to life in a rich new color palette and a texturally pleasing combination of shakes, clapboards, and scallop siding by Highland Window Company. 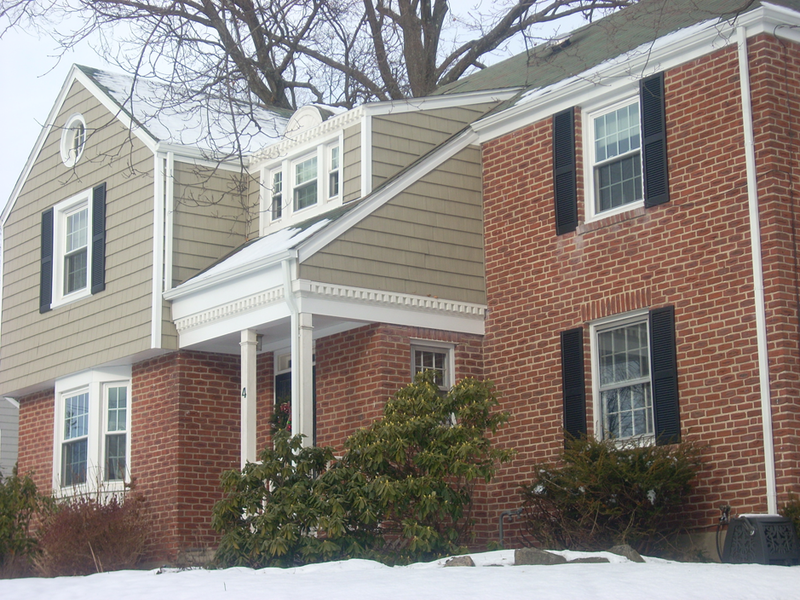 Below, left: In West Hartford, CT, an upscale town where quality of work, appearance, and materials is paramount, Highland Window Company provided siding, windows, doors, and dentil molding trim‒a classic architectural detail. 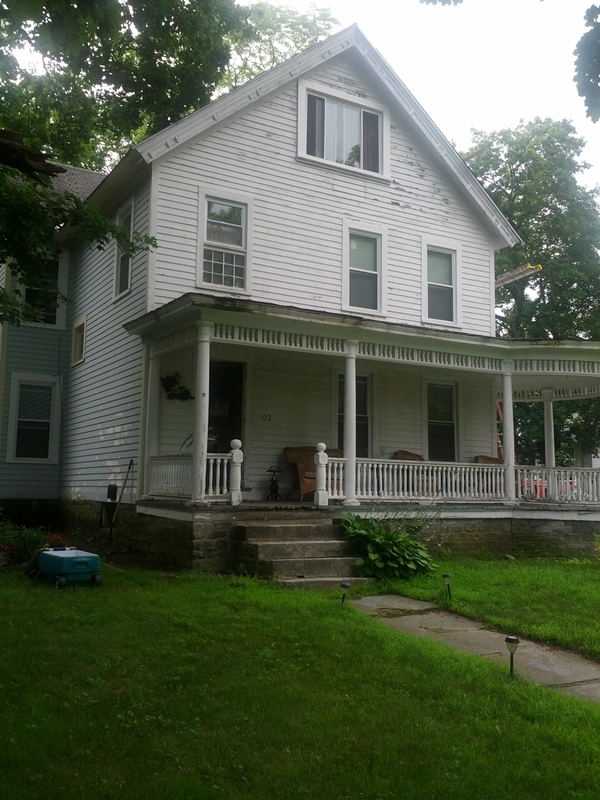 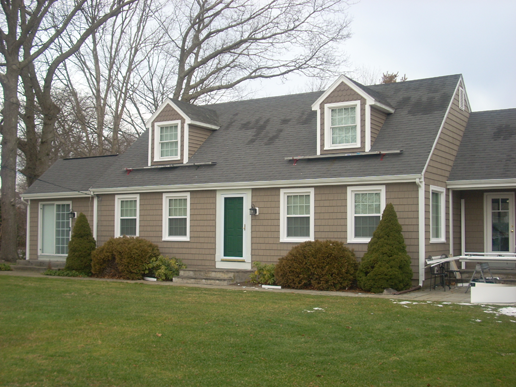 This is an example of the versatility of new vinyl siding. 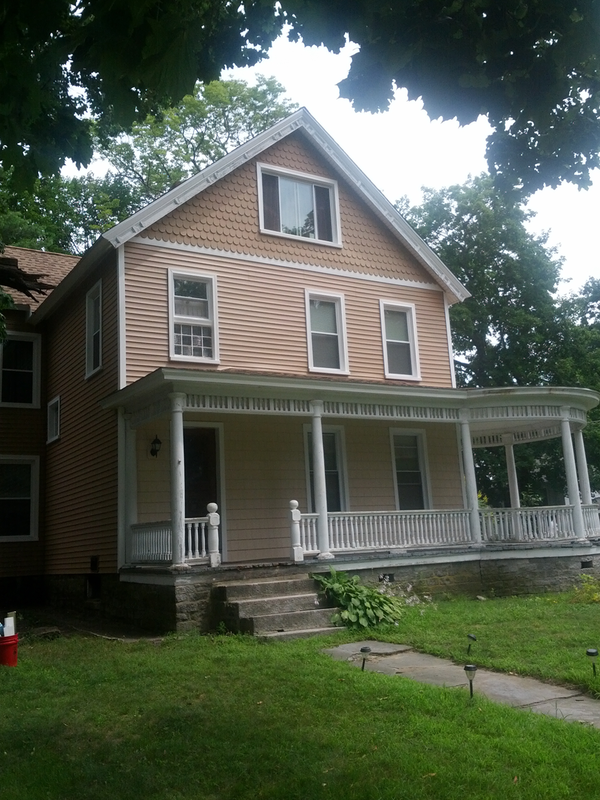 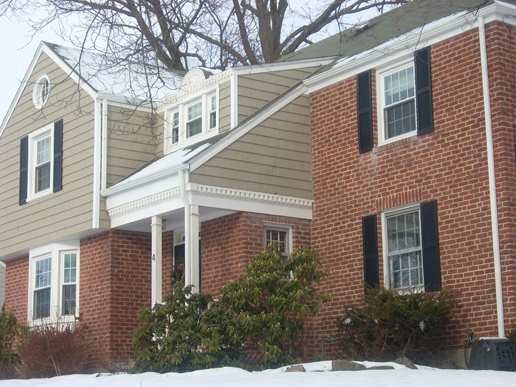 Above, right: To refresh and beautify this dwelling in West Hartford, this home received a siding makeover, where we replaced the siding as well as the gutters. 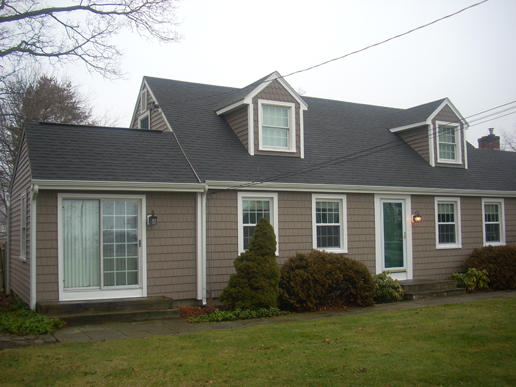 As this example shows, we pay just as much attention to the back of the home as we do to the front. 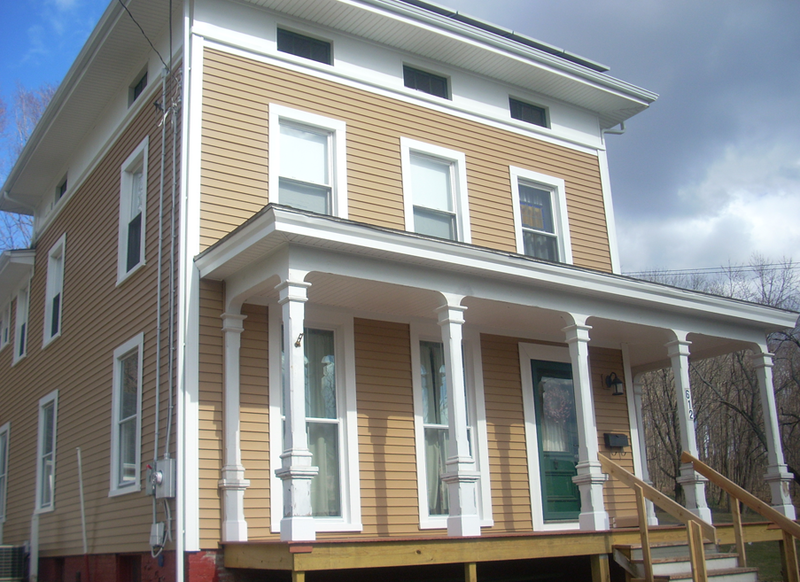 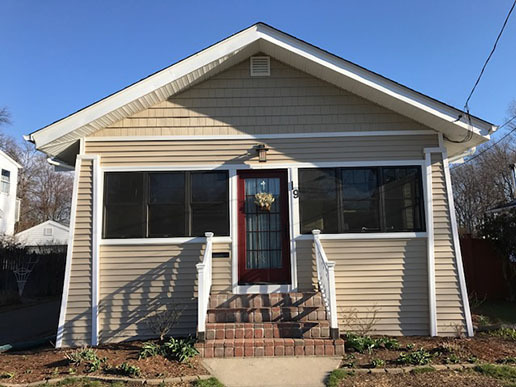 An older New Haven home gets a beautiful and appropriate makeover, thanks to attractive, versatile modern vinyl siding and the skill of Highland Window Company. 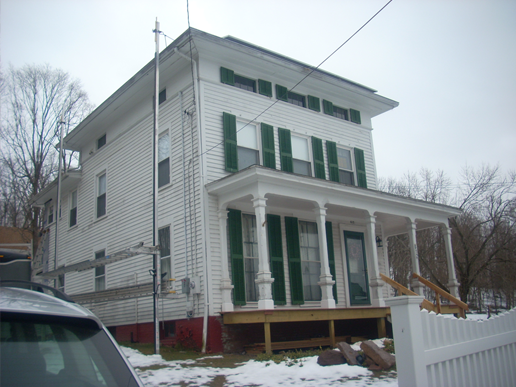 In Rocky Hill, CT, the exterior of this large old modified Queen Anne style house was discolored and badly in need of attention. 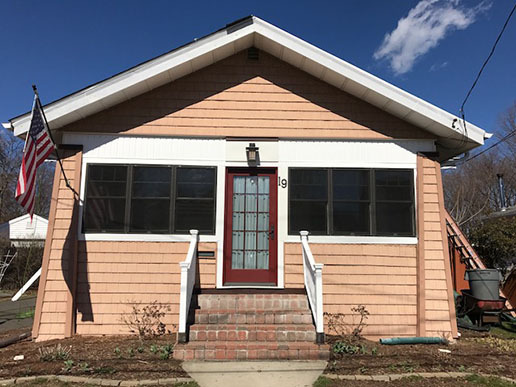 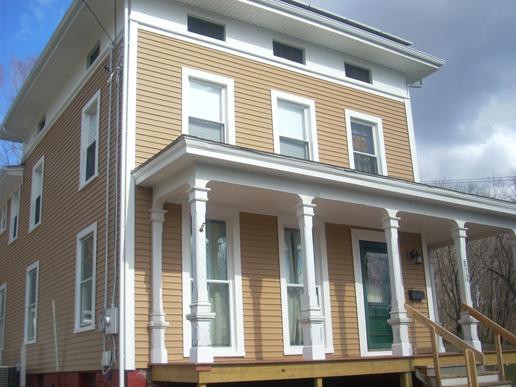 Old wood siding was replaced with much more economical vinyl siding and windows, which maintained the appropriate look, but transformed the building with new sense of beauty and spirit. "Highland Window installed siding, aluminum trim coil, corner posts, shutters, brand new gutters and leaders as well as gutter guards. The job went very well and we are extremely happy with the results."